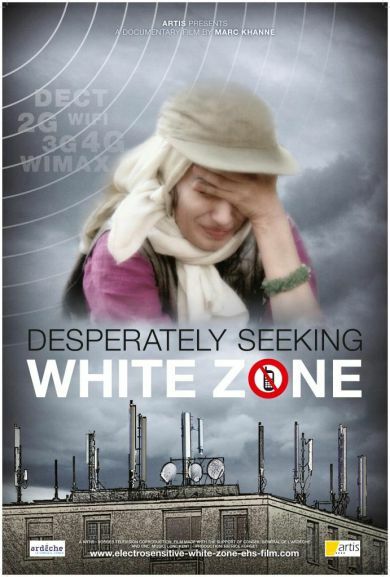 Alerted by a friend who no longer saw herself able to perform all kinds of activities, director Marc Khanne toured France for over three years to portray people who had become electrosensitive. Due to various symptoms, they were forced to move, and therefore in some cases also to abandon work and family. Faced with a phenomenon poorly-known and still a source of controversy, Marc Khanne opted for a simple, human approach: a series of portraits and stories of obvious suffering drawing the picture of a disturbing reality. Bande-annonce – CHERCHE ZONE BLANCHE DESESPEREMENT – MARC KHANNE (2014) from Olivier Lavielle.